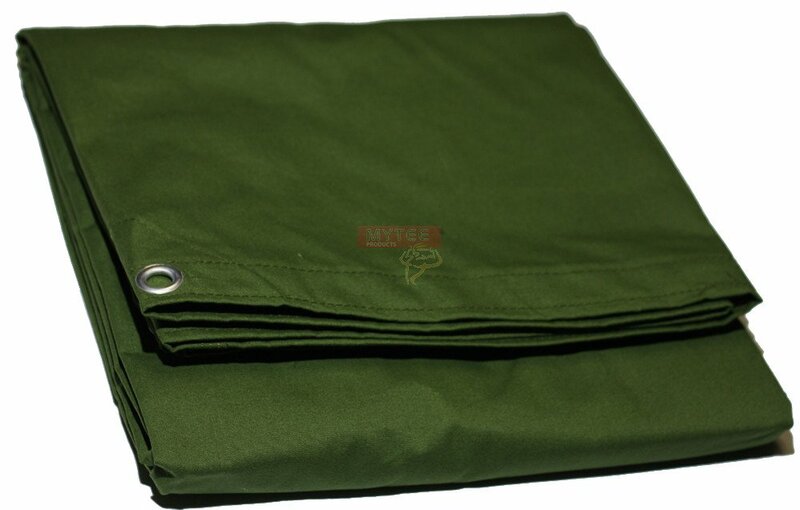 Heavy Duty water resistant 20' x 30' (finished size) Canvas Tarps from Mytee Products are made with 12 Oz Polyester Material. 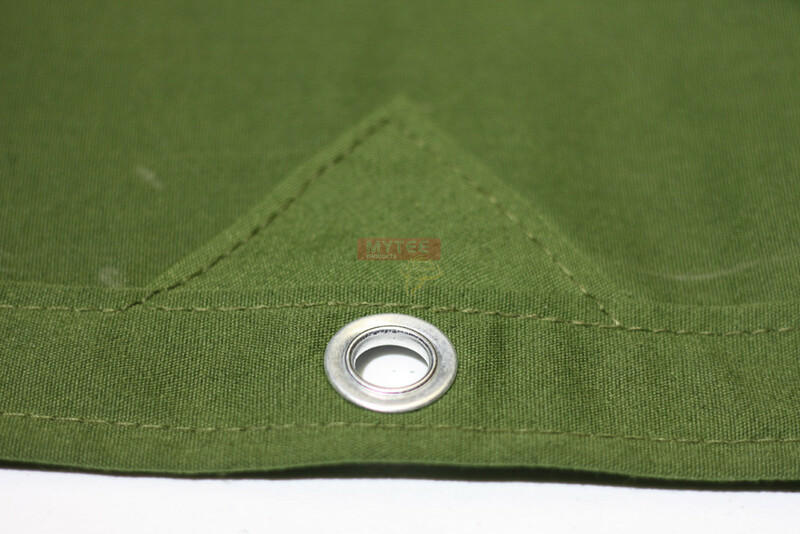 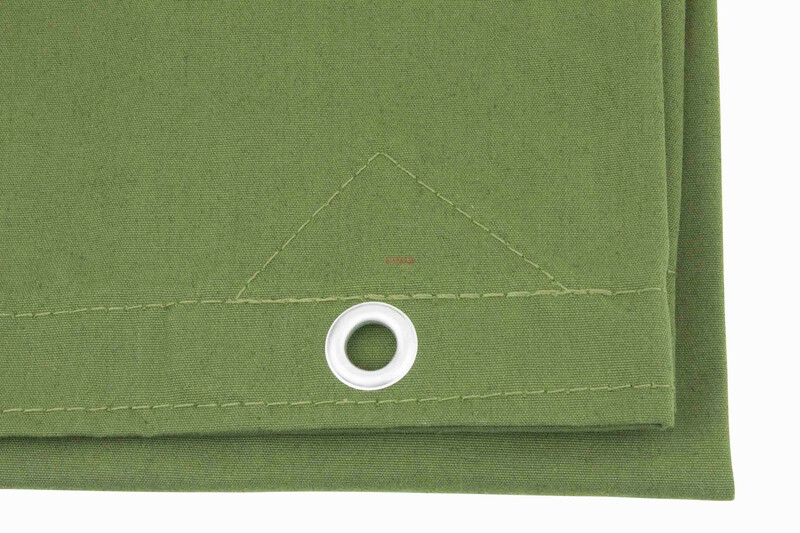 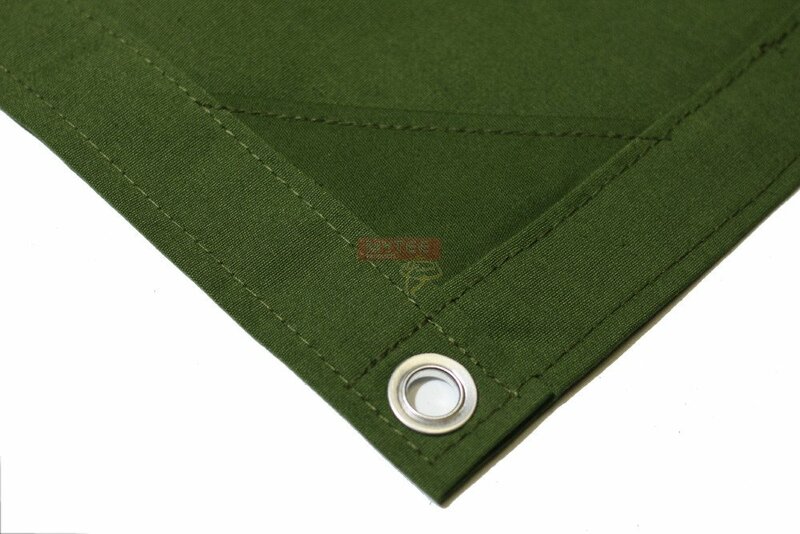 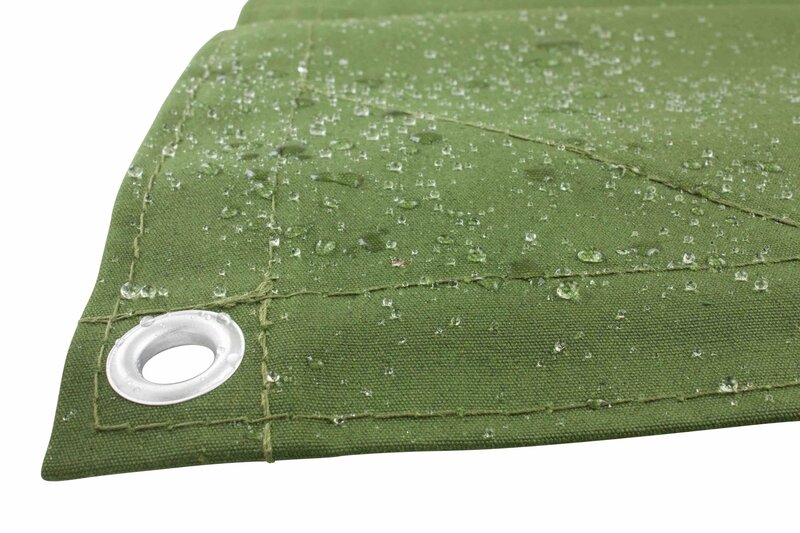 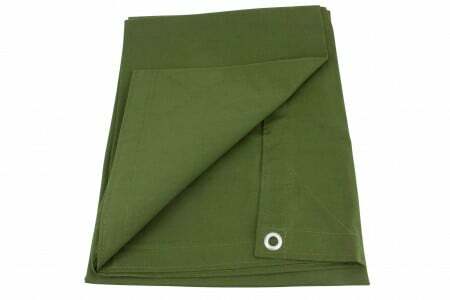 This Canvas Tarp’s color is Oliver Green and treated to be water resistant and breathable. You will find double Stitches on this Canvas Tarps and has Grommets at every 24". Canvas tarps are great for covering stationary items. 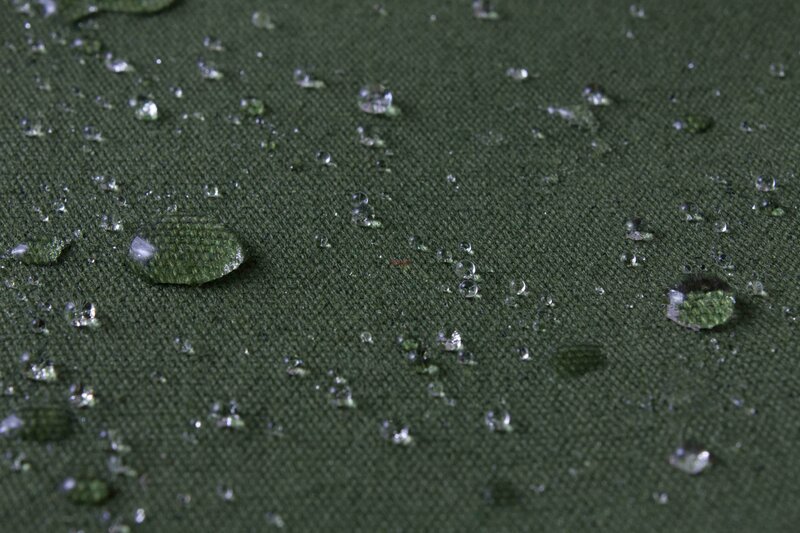 They reduce condensation as Canvas is a breathable fabric. 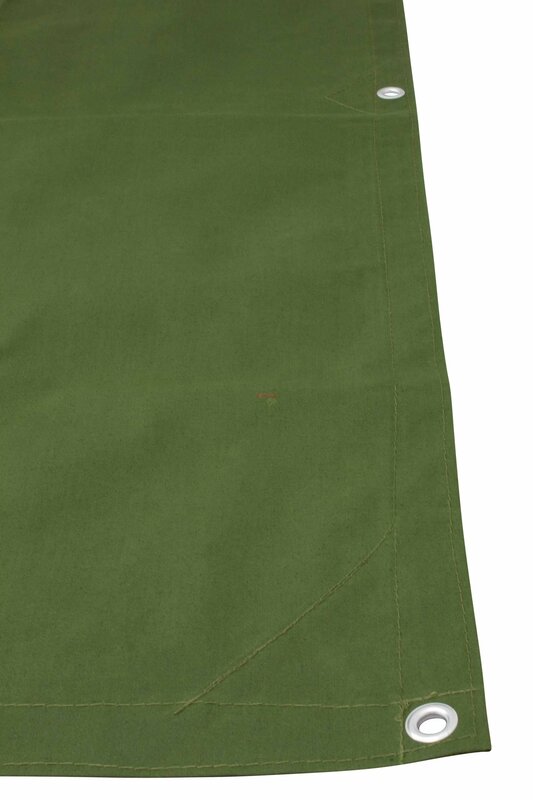 The thickness of canvas tarps is 21 mil. 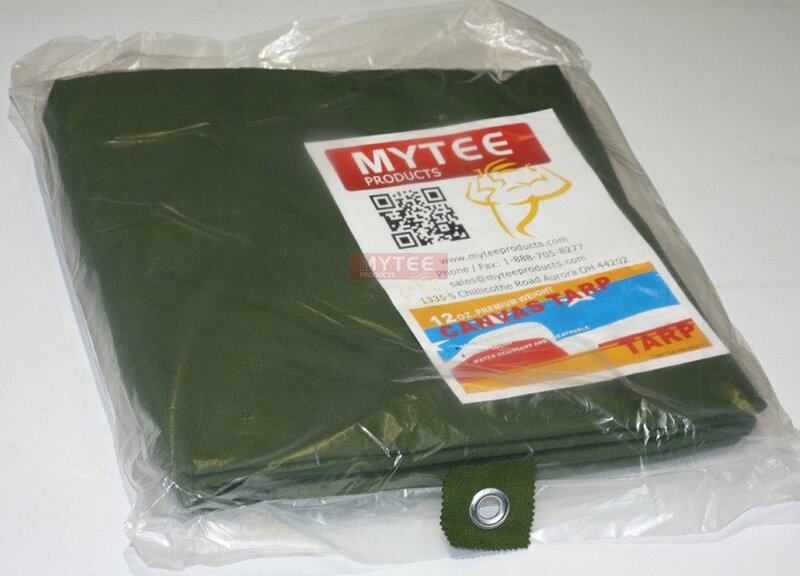 Mytee Products Canvas Tarpaulins are available in multiple sizes at affordable price.